The award winning Ting has always been a best seller. This product, which is made in Jamaica, is absolutely refreshing. Starting with grapefruit juice, it has a very clean and refreshing citrus flavor and it\'s sweetened with real sugar. The result is a Caribbean flavor that is truly top notch. 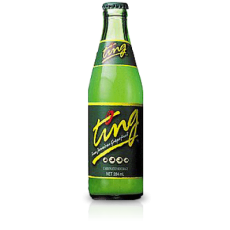 Ting, made from Jamaican grapefruit with no preservatives is the ultimate thirst quencher. It is a lightly carbonated citrus drink.